The terminal is the flagship project in the airport’s £600 million transformation which will support its future growth and pioneer the next generation of travel at London Stansted. To mark the announcement, a fly-through animation has also been released today showing what the airport will look like following the transformation and how passengers will seamlessly flow through the airport. “I’m delighted to welcome Mace on board as we now focus on the most critical phase in the transformation of London Stansted. Mace has a great track record of delivering major projects like this on time, on budget and to the highest quality. 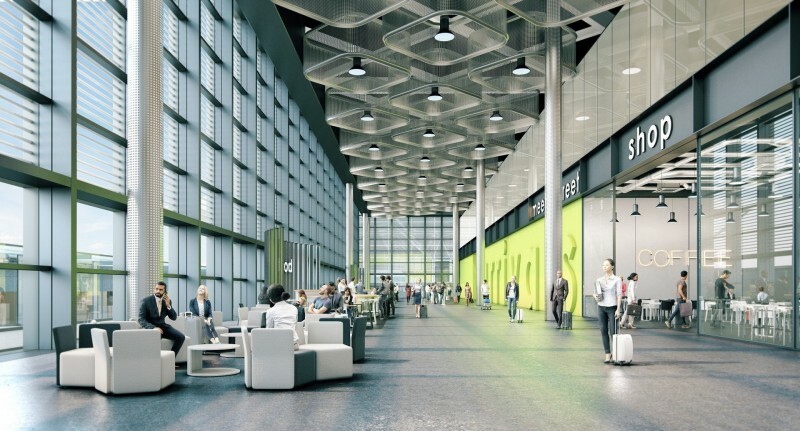 London Stansted’s transformation project is really gathering momentum. We’ve made fantastic progress so far, but it’s this year when the project starts to take-off when work begins on our arrivals terminal. The terminal is the most significant contract the airport has awarded as part of this project, and when complete it will provide a first-class, technology enabled, experience for our passengers”. “The new arrivals terminal will completely transform Stansted and the experiences of the millions of people that arrive at the airport every year. Mace has a long heritage in the safe and successful delivery of major aviation projects across the world. This will be our first major construction project at Stansted since 2008, and we look forward to working closely with Manchester Airports Group to deliver the terminal”.